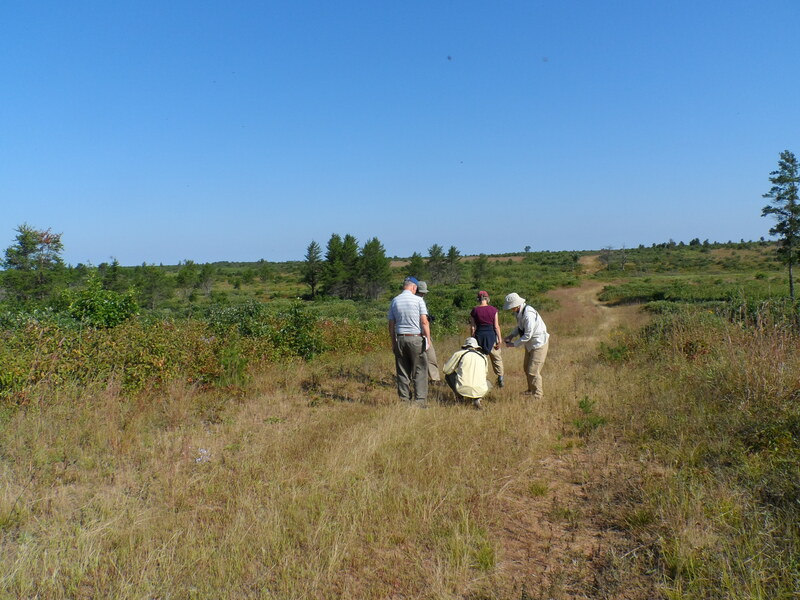 August 30 saw a six person group take a nature walk on the Namekagon Barrens. Friends Board members Mark Nupen, Jerry McAllister, and Dave Peters plus Dave’s wife Lisa and his brother and sister-in-law attended. 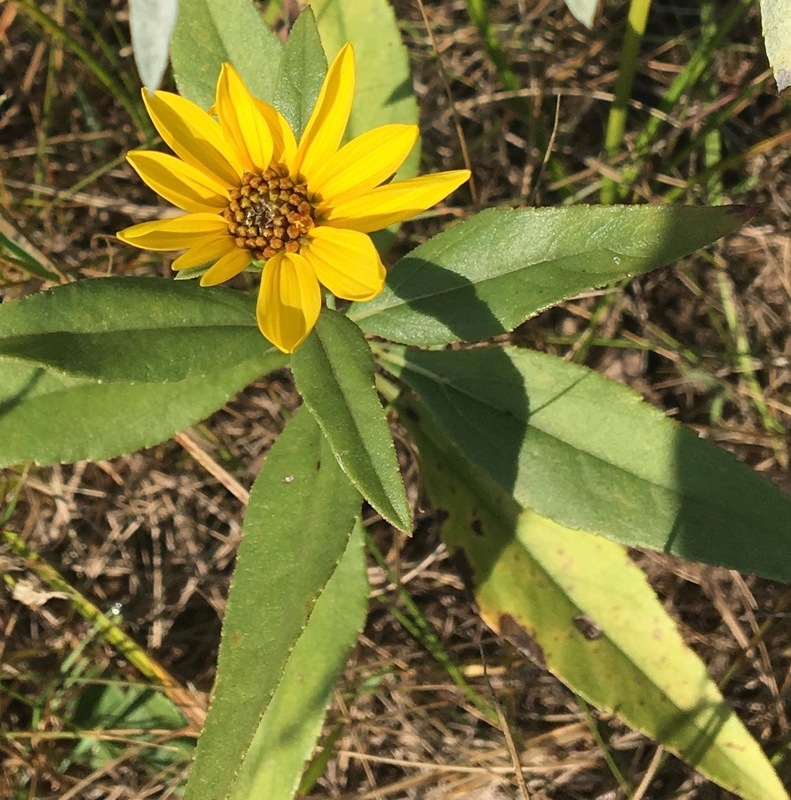 We were looking for sharp-tailed grouse and fall wild flowers in the area about the Forest Home School site. Jerry’s three year-old English setter Lilly pointed and held for viewing a 5-member grouse covey. After the flush she tracked down three singles and put them up for us also. 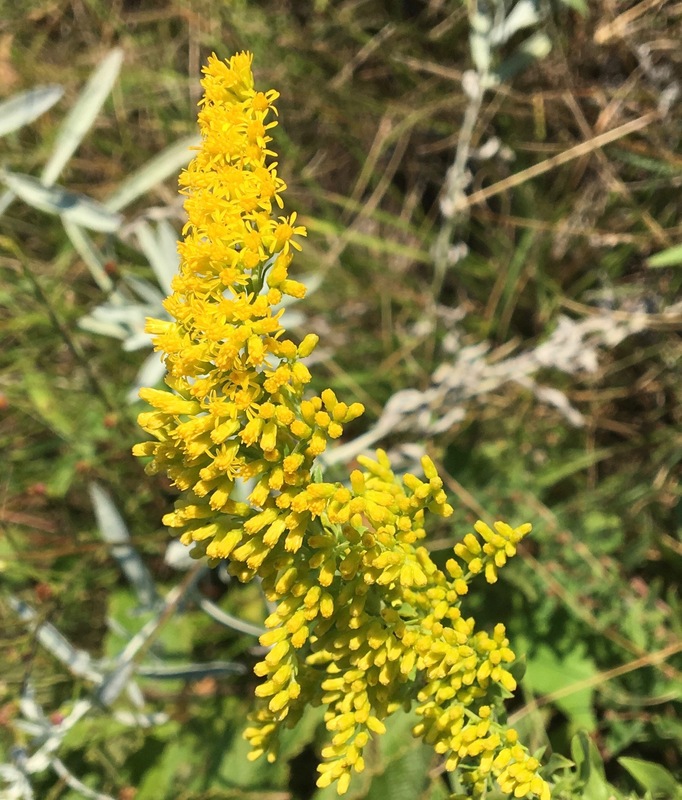 We next hiked north from the school site to Clemons Creek identifying wild flowers. 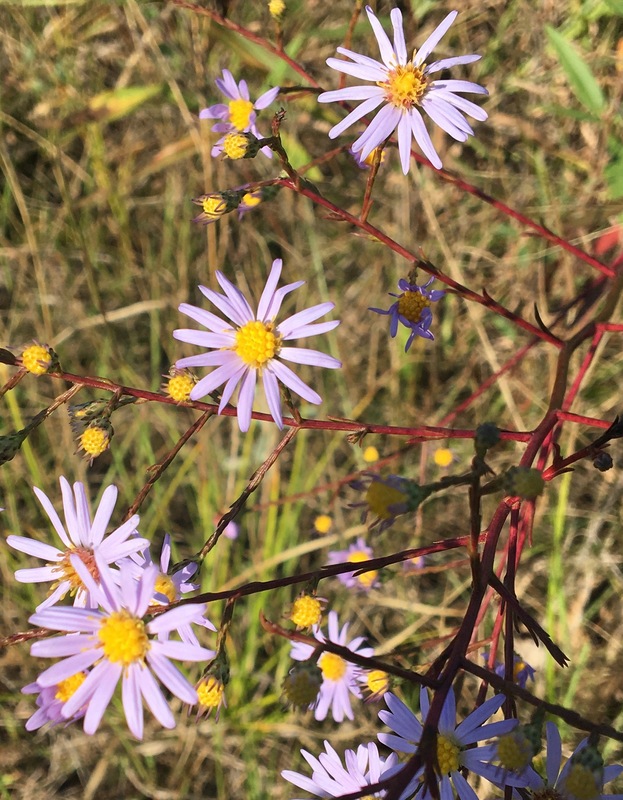 The predominant species were yellow sunflowers, purple asters, and purple blazing stars. The latter had just begun blooming and within a couple of weeks will turn the Barrens purple. At the edge of Clemons creek we were entertained by sedge wrens in the marsh grass. A group photo from near the Clemons is submitted by Jerry, and wild flowers photos, by Mark Nupen.